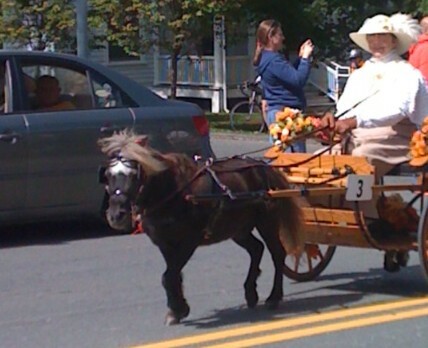 Earlier this week, the annual Tub Parade rolled through Lenox, signaling the unofficial start of autumn in the Berkshires. 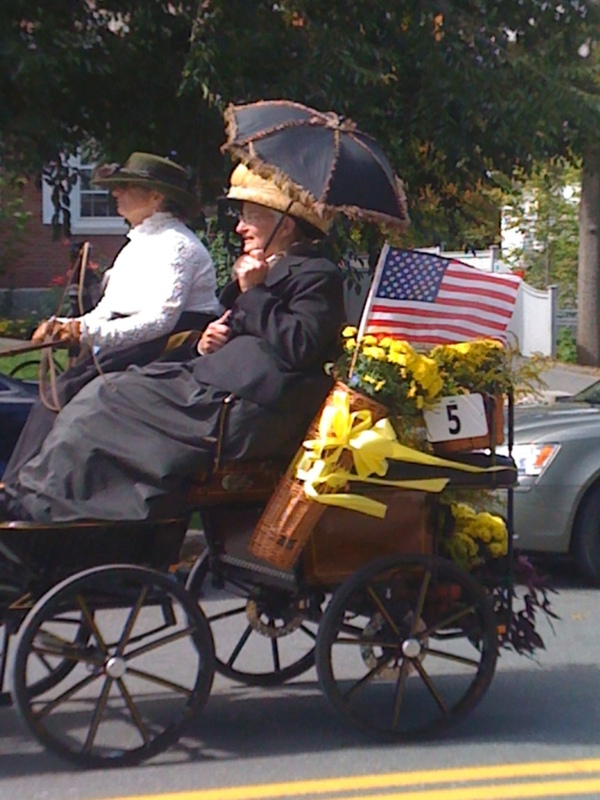 When I first heard of an event called the ‘Tub Parade’ I thought literal bathtubs, merrily festooned, were going to cruise down Main Street. 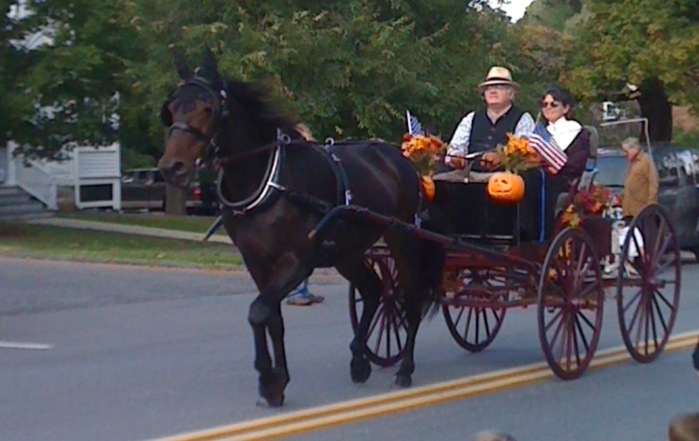 In reality, it’s a reenactment of a Gilded Age tradition, wherein ‘cottagers’ — actually the well-to-do of the town — would drive decorated horse-drawn carriages through the town to celebrate the close of the summer season. I’m a sucker for anything with period garb, and the great weather and cool horses were added bonuses. Not to mention that fact that, apparently, the horses owned by Gilded Age Muckety Mucks varied in style just like their fashions. 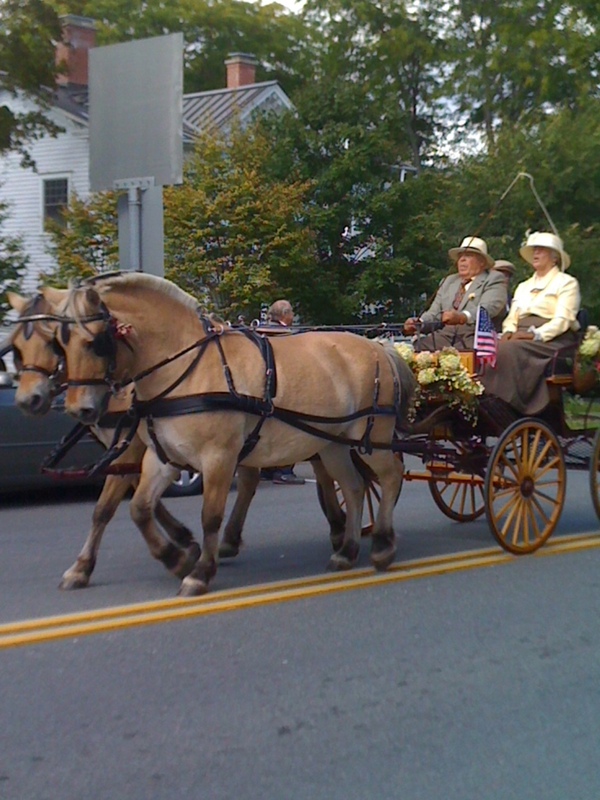 Each carriage passes through the center of town twice, showing off fresh flower bouquets, intricately braided horse manes, and fall-themed ribbons and bows. Oooh, Halloween Preview Carriage. That means Blogtoberfest isn’t too far away … squeal!